We have the most efficient method of making dental crowns and bridges using our state of the art technology: the Cerec. At the Adams Farm Dental we can do all sorts of interventions to make your smile the perfect smile. We are your ideal Greensboro dentist. Here at the Adams Farm Dental we understand that going to the dentist can be an unnerving experience. For those high anxiety and high fear patients we have a solution. We are one of few Greensboro dental offices who offer these services. We are your Greensboro dentist. Our dentists are highly qualified due to the amount of years that they have been practicing. Both have been in practice for more than two decades. During this time they have had the continued training and certification to do more specialized work that no other Greensboro dentist can do. They have cultivated a family setting in their dental office, and we want to be able to replicate this service for you. It is typically recommended that you bring your child into the dentist by the first appearance of a tooth. Children can develop caries vary early on due to bottle feeding with juice and it is imperative that you bring them in to get a check-up. Our dentist are great with kids and we have the consultation skills to have your child in tip top shape in no time. Our dentists have performed a wide variety of procedures on countless patients as well and this could vary from sedation, implants, to crown and bridge work. We pride ourselves in our consultation skills, but it is all a team effort to make sure that you have the most comfortable experience that anyone can offer. We have dentists with experience with in house X-rays, and top of the line equipment that can be used to make sure that nothing is missed as we perform our daily routine. Because nothing is more important than your smile, and the overall oral health of your family. Do not hesitate to come by and schedule an appointment. If you are a high anxiety patient we have sedation dentistry fellows. If you want that perfect smile we can create one for you. Call us now or ask for a free quote above and we will be happy to oblige. Our ancillary staff is the pillar of our practice. The first people you will see once you sit in the chair are our hygienists and our dental assistants. They work side by side with each other to make sure the best dental care is delivered. Our hygiene staff is skilled and has been practicing in the same setting for a multitude of year. They are trained and highly specialized in specific areas. It would be hard to find better staff at any other Greensboro dental office. They specialize in teeth whitening, applying arrestin for gum disease and applying sealants in children to prevent cavities. 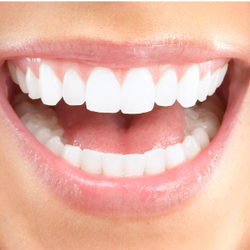 Our hygiene staff have been doing teeth cleaning for years and thus are highly experienced. They are equipped with diagnadent software that is able to catch any sort of problems that may be present during a dental exam. They have experience to be able to handle any dental consultation you would like We are accepting new patients at this timed so come by and visit our staff. Our dental Assistants have been working with the dentist for many years so their is an efficiency and completeness to the work that they do. Our staff is trained with the top of the line technology so have no fear. For high anxiety patients our staff has taken courses in sedation and basic life support. There is no better dental staff in the Greensboro area. So feel free to drop by and say hello. ​1. Preventative dentistry - It is always said by health professionals around the world that an ounce of prevention is worth a pound of cure. If we can stop dental disease from happening before it ever starts then we are in an ideal situation from the beginning. The American Dental Association (ADA) recommends that for every new patient a comprehensive exam be performed. You want to make sure that your exam is done by the right dentist. And there is not better office in the Greensboro, NC area than Adams Farm Dental. We have state of the art technology and highly experienced staff that will be able to make sure that everything will be diagnosed before it becomes a problem. We also offer teeth cleanings by our highly skilled hygienist so that we can ensure no tooth is left behind. We do sealants for children to prevent cavities. We clean teeth and offer sedation services for those patients who are high anxiety and high fear. The ADA recommends that you do two teeth cleanings a year. We will polish your teeth at every teeth cleaning to give them the shine that can be seen only with our expertise. Our staff also offers educational brochures and material to make sure that we can prevent cavities and any other sort of periodontal or oral health issues. ​2. Cosmetic Dentistry - Here at Adams Farm Dental we understand the meaning of cosmetic dentistry. We feel that you should never sell yourself short when it comes to your smile. Your smile will be something that your friends and family remember you by. So why waste it! Come to Adams Farm Dental and we will take your smile to levels never before seen. 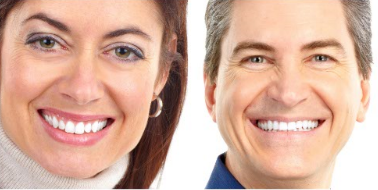 We offer a wide variety of therapies, dental intervention, dental prevention, and education so that you can maintain a smile that people will remember. We offer everything from crown and bridge work to dental implants and dentures. Whatever you need we can make. And unlike other dental offices in the greater Greensboro, NC area we make all of our cosmetic appliances in house with our own laboratory staff, and our own dental technicians. Our facilities are state of the art and we control everything from the creation to the fitting of certain cosmetic materials. You will not find this level of control and detail orientation in any other Greensboro, NC dental office. We have state of the art CEREC technology that uses computers and mills to fashion crowns. We have lab staff specifically trained for our specifications. We have a dental radiology consult for implants and planning before and after the case so that we can make your smile the perfect smile. Do no hesitate to contact us and receive therapy today. ​3. Restorative Dentistry - We take the time to make sure that we can salvage any tooth here at Adams Farm Dental. We understand the importance of dentition and nothing is better dentition than natural dentition. We have restorative techniques to make sure that you do not loose a tooth that is ailing you. We offer therapies such as fillings for cavities in teeth. We also do root canal therapies to extract the nerve ending from the dental root in order to alleviate pain. This way we do not have to extract the tooth if the patient does not want to do so. That is because at Adams Farm Dental we believe in letting nature take its course. And natural dentition is better for the patients oral health in the long term. If you are afraid of drills or injections we also offer sedation therapy. Our sedation can be done orally or intravenous for those patients who are high fear, high stress, and high anxiety. Ask us about our services and we will be able to give you a free quote now. ​4. 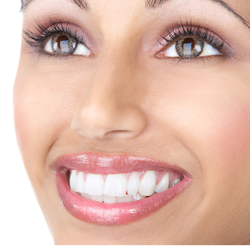 Sedation Dentistry - We understand that going to the dentist can be a nervous experience. That is why we have had our dentists and staff undergo extensive training to make sure that we can make you, the patient, as comfortable as possible. We offer oral sedation for those patients who are needle shy and would just like to be in a different state of consciousness as we perform our procedures. We also offer intravenous sedation for patients who would like a much more powerful regimen to ensure they will not feel a thing as they are operated on by our dentists. Dr. Jones and his associates have been certified in sedation dentistry. This is not something that any Greensboro dentist can do. We also offer laughing gas, also more commonly known as Nitrous Oxide for patients who something extra to help them relax. We have had our staff and our dentist go the extra mile to make sure that we can make the dental experience a comfortable experience.